When you have cavities, you need a dentist who can provide strong, reliable fillings as treatment. There are several methods available for dental fillings today, and at Dr. Ron Richardson & Associates in Scarborough we’re happy to walk you through your options and recommend the approach that best meets your needs. When you visit our office for dental fillings, you’ll be greeted by a welcoming staff and a team of caring, compassionate dentists who want your experience to be a positive one. Whether this is your first cavity or you’re used to the idea of getting cavities filled, we’ll walk you through the process from start to finish and answer any questions you have. We strive to make all of our dental filling procedures as gentle and smooth as possible. For direct fillings, we will remove the decayed portion of the tooth and advise you of your options to restore the tooth. Then we apply either a metal amalgam or composite filling, onlay or crown that will match the colour of your teeth, for a more natural look. What kind of materials do you use for fillings?  We offer a variety of fillings including composite, porcelain, zirconium, dental amalgam and cast gold. Each type of filling comes with its own advantages in areas such as cost, aesthetic and longevity. For example, composite fillings are the most natural looking option, but they also cost more than dental amalgam (silver) fillings. The position of the cavity in your mouth may help determine the best material for you. We will gladly explain the advantages and disadvantages of each option, so you can make an informed decision. Durability depends on a number of factors, including the filling material, placement and your oral hygiene. It’s also important to choose a knowledgeable and experienced professional, who will create a tight seal and secure bond for your filling. With proper care and avoidance of bad habits (such as teeth grinding or chewing on hard objects) your dental fillings should last many years.